SInce The Voice took the Middle East by storm last year, the region’s TV talent show fans have been left hungry for more. Without the celebrity spats, fierce competition, glamorous outfits and untapped talent, gossip in the Arab celebosphere has run dry. But 2013 has brought with it not one but two talent shows to tantalise viewers taste-buds and give the region’s gossipers something to talk about again. 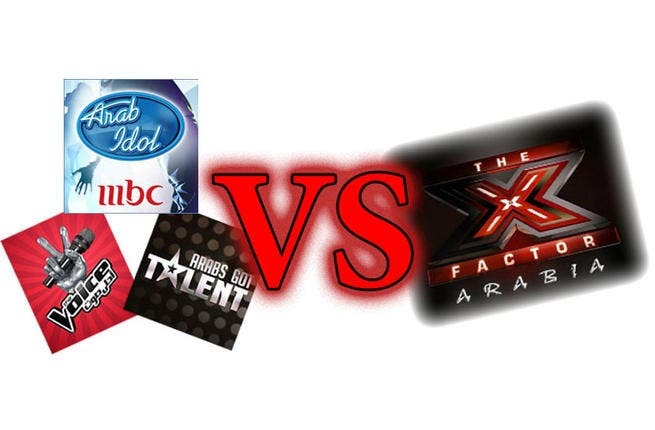 This February, Arab Idol and X Factor have returned to screens bigger and better than ever before and with both ready to do what it takes to rake in the ratings and be named the viewers’ favorite, the war is on! Having scoured the region for the best talent the Mideast has to offer, TV giants MBC and Rotana have blown their budgets on flashy advertising campaigns and glitzy sets. But their main weapons come in the form of their celeb panels. With the likes of Elissa and Nancy fighting for either side, this talent show ratings war looks set to be a dirty one! Which show do you think will win the ratings war? Share your comments with us below! 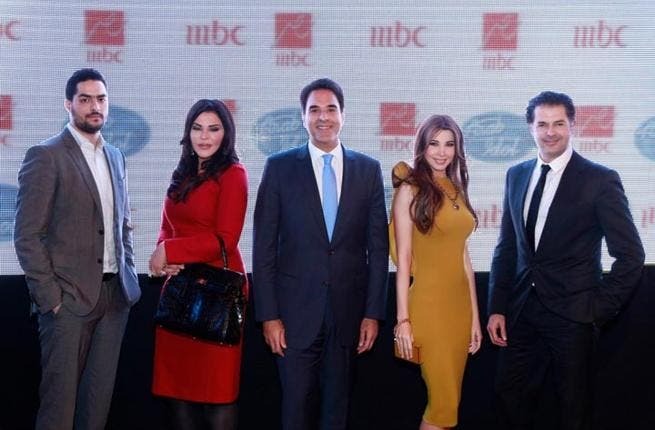 After raking it in with The Voice last year, talent-show giant MBC is making sure that Arab Idol is bigger and better than ever before for its second season. The flashy advertising campaign, celebrity panel and glamorous outfits have already reeled in a whole host of new fans. Fans of Arab Idol were over the moon to hear everyone’s favorite bitchy babe, Ahlam, is coming back for seconds. With the diva looking skinnier than ever, after extreme diets and acupuncture, Ahlam’s weight is once again at the center of Idol gossip. With all eyes on her, pressure is piling on the wafer-thin starlet to keep off the pounds. 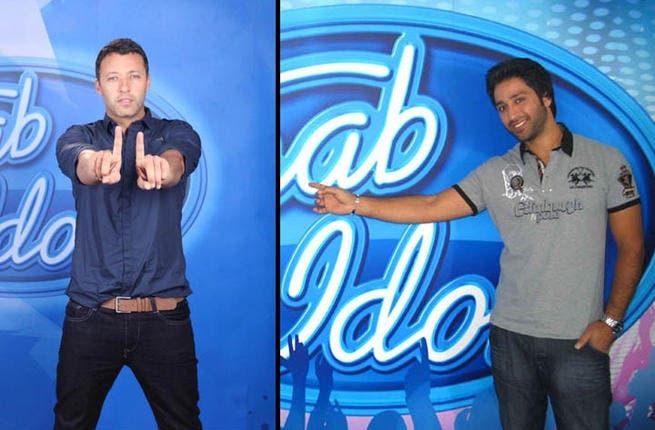 It might be a new season of Arab Idol but fans haven’t forgotten their favorites from the first series. In the opening episode, MBC treated viewers to a trip down memory lane with a live performance from former contestants including Arab Idol winner Carmen Sulaiman. Many were shocked with news that Arab Idol presenter, Abdullah Al-Talihi, wouldn’t be returning to the show for the second season. Rumor in the celebosphere was that the unsuspecting star was ruthlessly given the chop as part of a series shake-up. With Idol fans sad that he won’t be returning, new presenter Ahmad Fahmi has a lot to prove. The days of MBC having the monopoly on TV talent shows is a thing of the past. The channel now faces stiff competition from others trying to replicate its success. 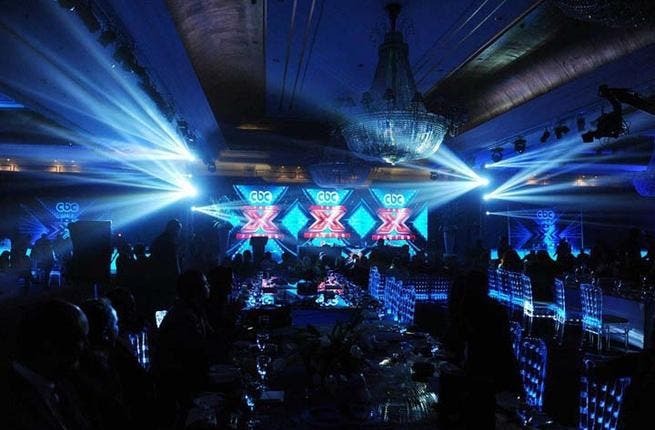 And with Rotana Khalijiya and the Egyptian CBC launching a new season of XFactor, the ratings war is on! As Rotana and MBC go head to head in the talent show ratings war, both are armed with a bitchy panel of stars who are ready to pack a punch. Things look set to get catty between the opposing shows’ Lebanese ladies, Nancy and Elissa. And if previous talent shows are anything to go by, there should be some surprise spats along the way. Just two episodes in, MBC look like they could come out victorious in the ratings war. But while early signs suggest that the region’s talent show fans are tuning into Arab Idol, the bookies favorite could be faced with a crushing defeat if X Factor unleashes any secret weapons to get the viewers changing channels. Unsurprisingly, this season of X Factor is set to be as much about the off-stage bitching as it is about the competition. While the star judges might be acting like BFFs at the moment, with celebrity divas like Elissa and Carole Samaha competing against one another, viewers suspect this is just the calm before the storm.